Mangalu, Mar 15, 2015: Reports say many cases of local taxi drivers preventing Ola drivers at the Mangaluru airport are recorded. local taxi drivers have caused trouble for Ola passengers too- particularly those who have booked a cab from Mangalore International Airport (MIA). 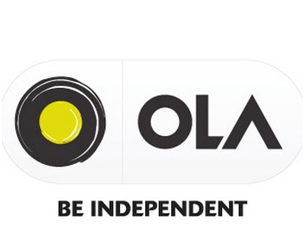 A passenger who flew to Mangalore to see his critical mother reached MIA and called Ola driver for his whereabouts, the driver said that the local taxi drivers are not allowing him to enter the airport premises. The driver was threatened of dire consequences. As a result the tense passenger had to take his baggage more tan 1 km to get to an Ola cab parked outside the airport gate. The happening in MIA is unjust. The local taxis are unfair and bullying the public. Ola drivers said the local drivers were threatening, abusing and using bad language. A police official pointed out that solution to this problem is internal only. it is not uncommon, users do not register complaints so no action can be taken. A president of Travel Agents Association said, "This is another challenge for a city like Mangalore. The taxi company has bulldozed the level playing field. They are considered city taxi, but are running on all India permit as a regular taxi. They don’t have city taxi permits. We will challenge this. We are waiting for a new regulation from the Centre regarding the plying of aggregators. We will decide to act based on the decision." All is not well that does not end well.